Acer has spoken out publicly about Microsoft and its upcoming Windows 8 Surface tablet, saying they were given little warning of their intentions, and that launching the Surface would have a negative impact on the worldwide computer ecosystem. Microsoft had already anticipated that the move could potentially unsettle OEM partners, as evidenced in its recent annual report to the U.S. Security and Exchange Commission. Traditionally the company has concentrated on software and left partners to build the hardware, but this time around, Microsoft will be selling their own tablet in direct competition with OEMs. A more rattled JT Wang, Acer’s chairman and chief executive, says he has asked Microsoft to "think it over. Think twice. It will create a huge negative impact for the ecosystem and other brands may take a negative reaction. It is not something you are good at so please think twice." The move by Microsoft is part of CEO Steve Ballmer’s plans to leave no stone unturned in its battle with Apple. 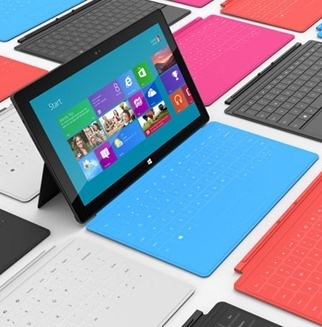 Speaking last month he said Microsoft would not let Apple’s dominance go uncontested and revealed that the firm aims to sell “a few million” Surface tablets via Microsoft stores and their website in the next year. At this point it's unclear if they plan to release other models in the future.